In a press release today, Apple announced updates to its MacBook Pro line of notebook computers. The new models feature faster 8th-generation Intel processors with six cores in the 15-inch model and four cores in the 13-inch model. According to Apple, the 15-inch model is up to 70% faster and the 13-inch model two times faster than earlier models. The new notebooks also support up to 32 GB of RAM and include a True Tone display and Touch Bar. The 15-inch model can be configured with up to 4 TB of SSD storage, while the 13-inch model is limited to a maximum of 2 TB. The new MacBook Pros feature Apple’s T2 chip, which debuted in the iMac Pro and adds ‘Hey Siri’ support to the Mac. This new third-generation keyboard wasn’t designed to solve those issues, Apple says. In fact, company representatives strenuously insisted that the keyboard issues have only affected a tiny, tiny fraction of its user base. 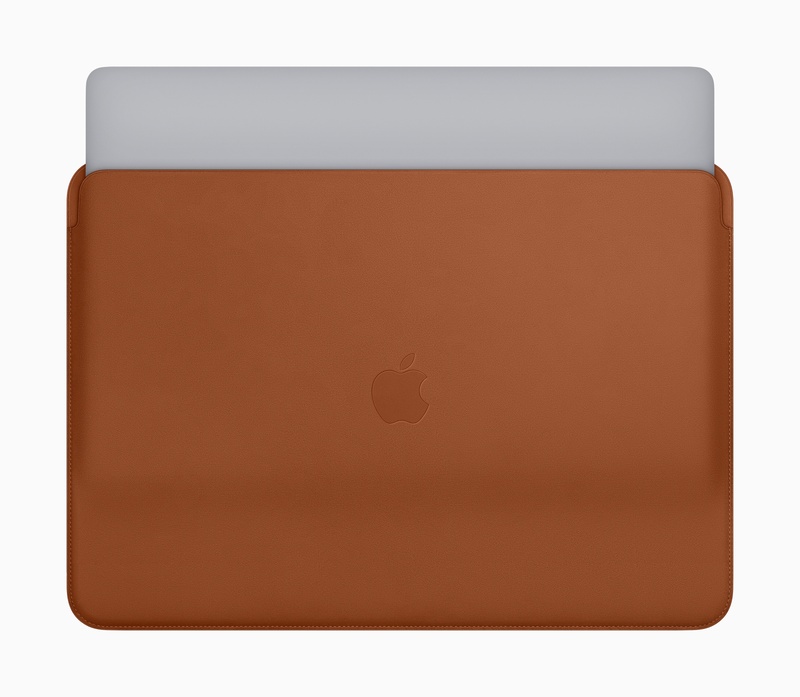 In addition to the new notebooks, Apple introduced a leather sleeve for the MacBook Pro that is available in Saddle Brown, Midnight Blue, and Black, which is similar to the leather sleeves available for the MacBook. The new MacBook Pros are also part of a Back to School promotion that Apple announced today.